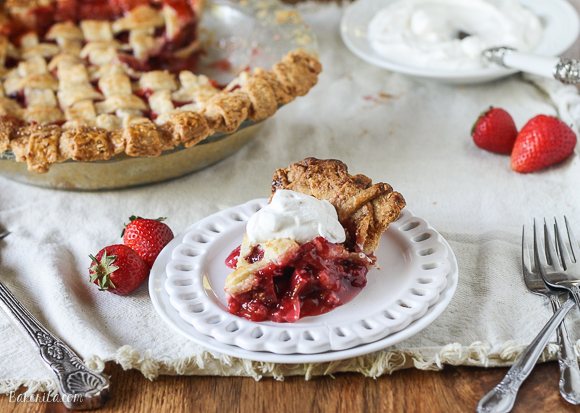 Classic strawberry rhubarb flavor. Delicious with whipped cream. Instructions are at http://www.bakerita.com/berry-rhubarb-pie/?utm_source=Bakerita Newsletter.